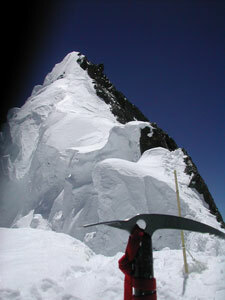 Field Touring Alpine Blog: FTA K2/Broad Peak 2011 - Summit bid under way - team in C3! The rest of the team is below on the hill or back in BC and (as Chris noted in an earlier dispatch) managing as best they can with a serious stomach bug that hit much of the team a few days back. It certainly much be a tough thing for them to be watching from below as the winds grow calm and the rest of the team moves up. For most of the team below this will mean an end to a chance to top out but a few still have more than 2 weeks remaining so may have another chance yet. For the remainder they will need to muster their energies now to manage the trek out which is a full undertaking in and of itself. Some members may decide to delay their departure dates and have another go at the hill and in a few days we'll have an update on where and when everyone is headed. Tim for sure will have to head out as he is off to lead our upcoming Spantik trip! 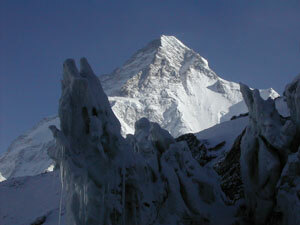 Rob still has our K2 climb ahead and will need a good rest after this push! For those unable to make the summit push due to the stomach bug they will certainly be able to take some satisfaction for having been part of establishing camps, carrying loads and sharing in the common effort required of all expedition members to make progress on the hill. If a few of the team are able to stand on the top of the 12th highest peak on the planet shortly it will surely be a shared success for everyone. Over on K2 Lakpa has been putting in the route along with other teams and they have the Cesen route fixed to C2 and above at this point. It sounds like there is excellent cooperation already with other teams on K2 so this bodes well for having the route in to the shoulder in time for a summit bid in early August. The team contemplated switching to the Abruzzi when they arrived but after hearing about the consitent rockfall and poor conditions on the Duke's of Abruzzi's route it was clear the route was not on for this year. Fortunately the Cesen has turned out to be in excellent shape this year despite the tremendous meltout from last year. In a few days we'll turn all of our attention to K2 and have much more from further down the Godwin-Austen glacier! Sophie's NY Fan Club is delighted!